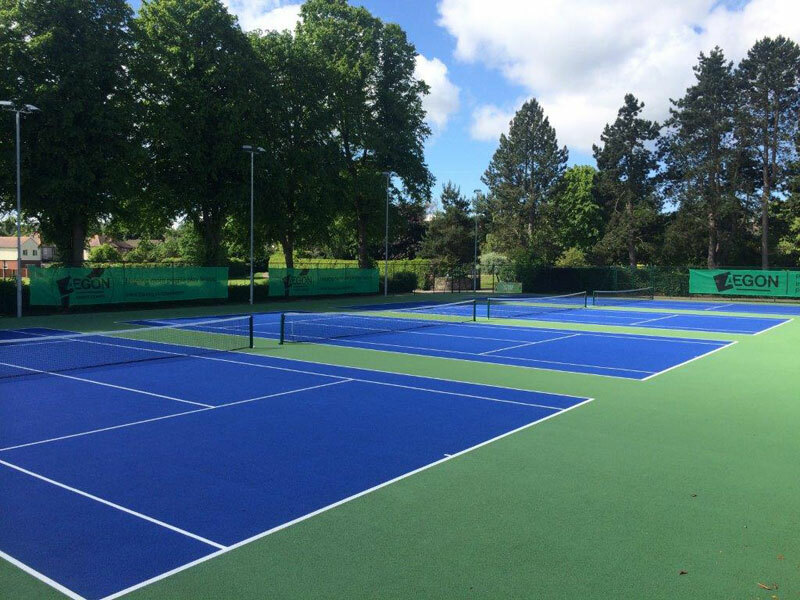 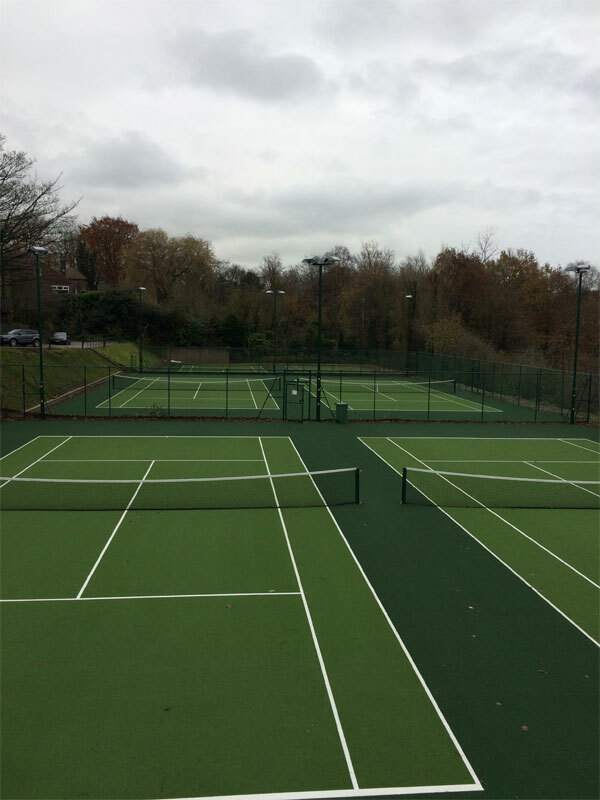 We have many years experience building tennis courts for private clients, local authorities, schools and tennis clubs throughout the North of England, the Midlands, Staffordshire, Lancashire, Yorkshire and Wales. 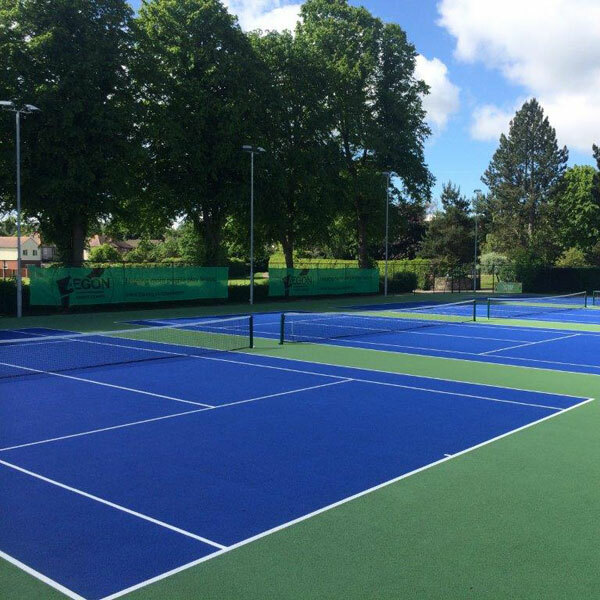 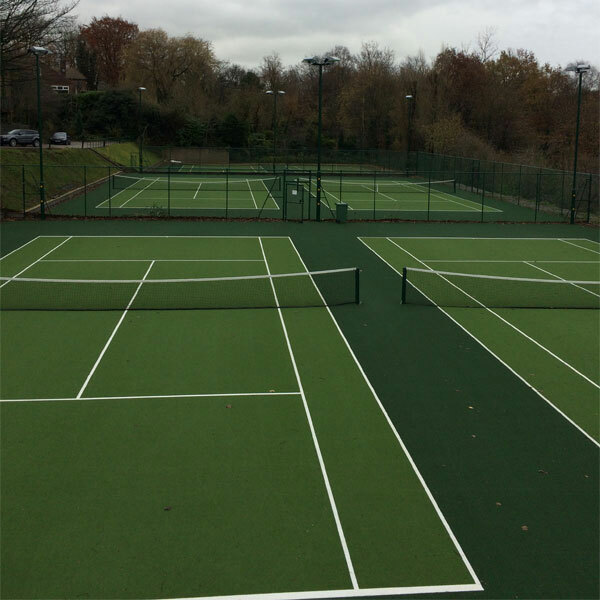 We construct and refurbish macadam, synthetic grass, acrylic and polymeric tennis courts and install practice walls, fencing and floodlighting. 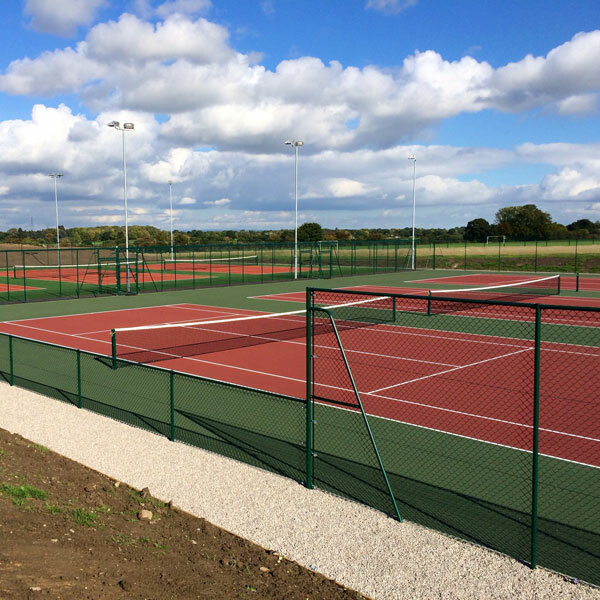 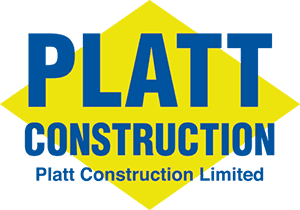 We are a principal contractor of the Sports and Play Contractors Association and carry out works to L.T.A consultant specification. 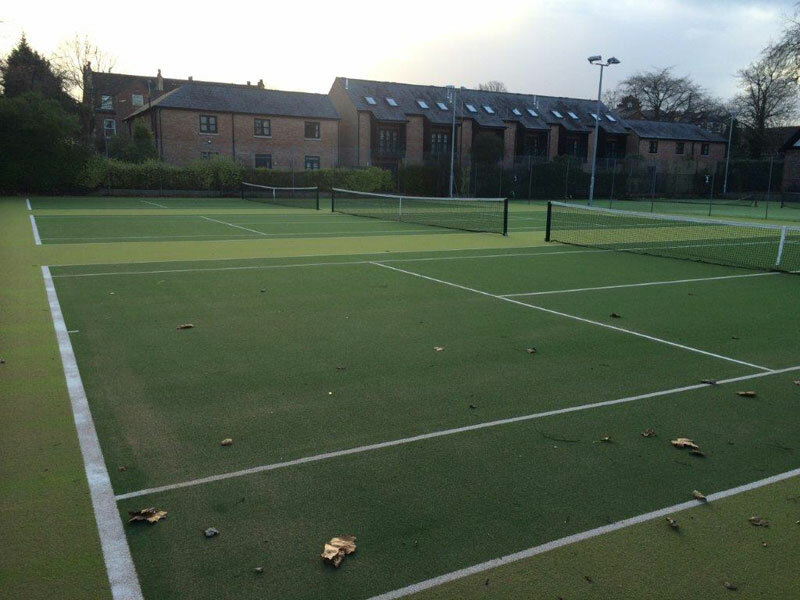 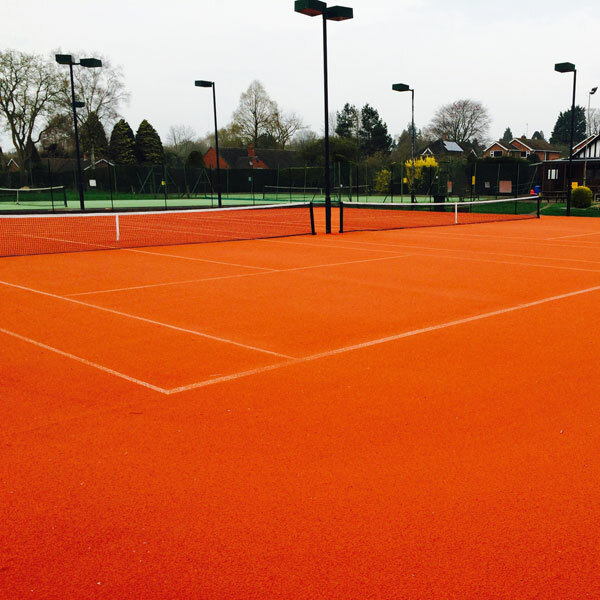 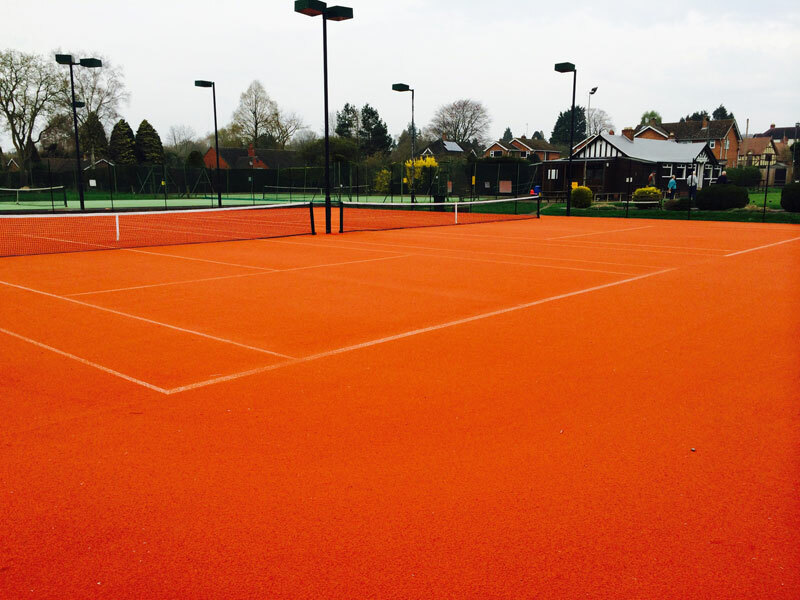 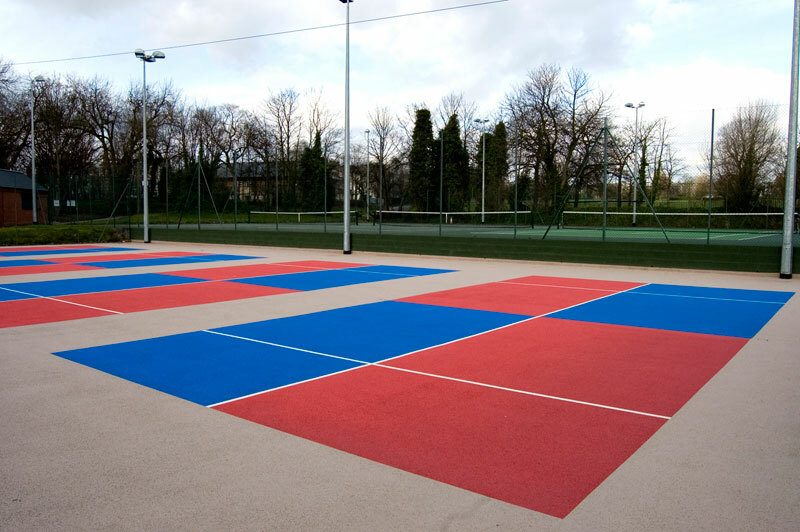 These courts are laid using a porous macadam and can be with or without a colour finish. 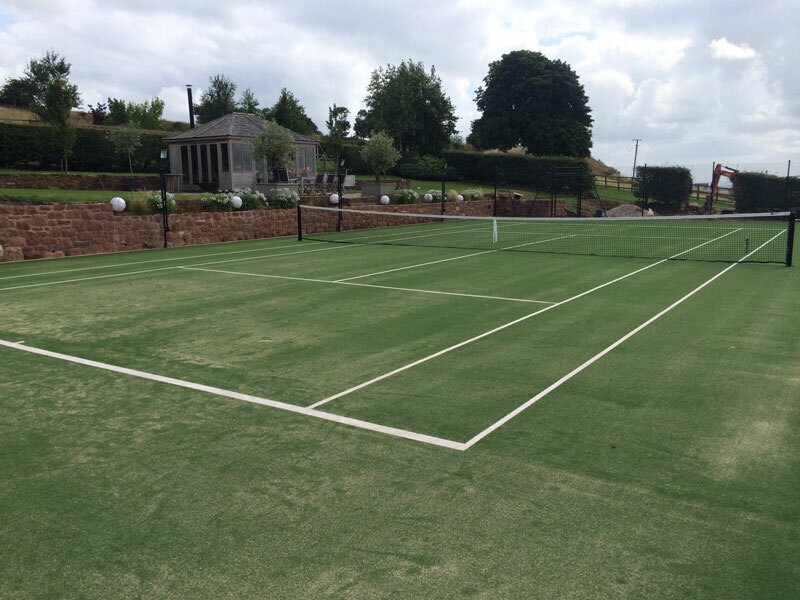 A range of synthetic grass surfaces are available to suit individual requirements for the pace of game. 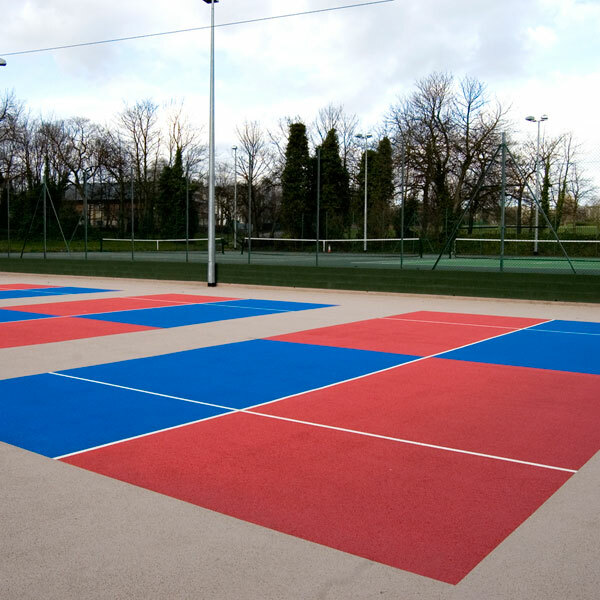 Courts can be fully porous and are available in a choice of colours. 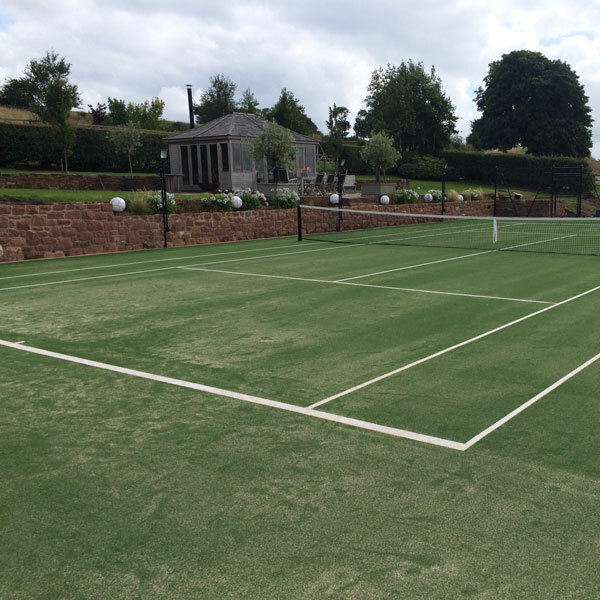 Sanded artificial carpet gives the sliding effect of clay but with lower maintenance. 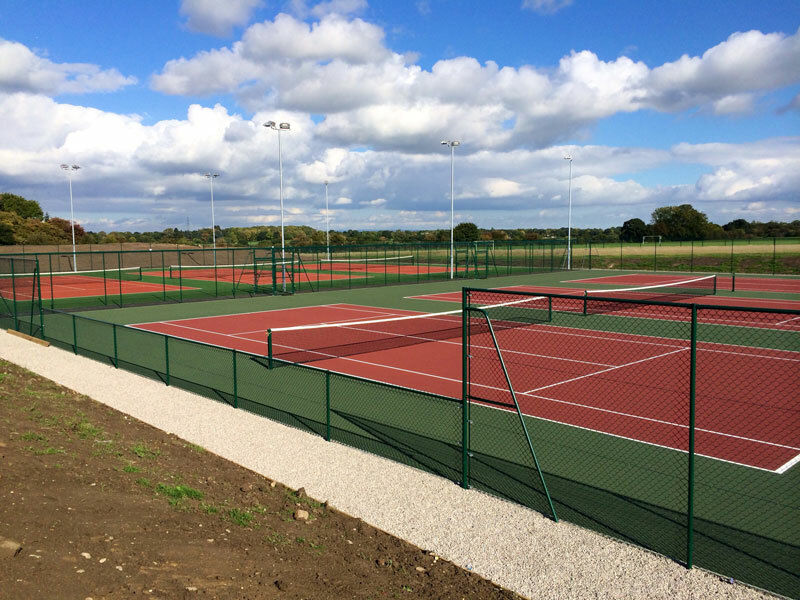 The surround fencing can be installed to individual requirements and to suit the court setting. 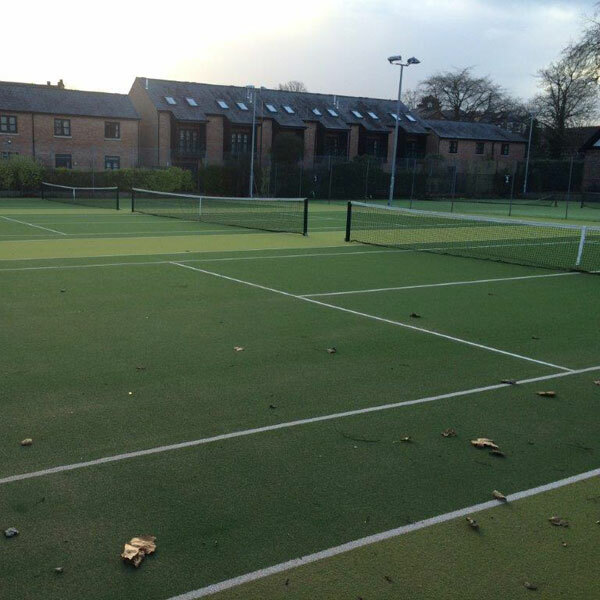 We supply and install floodlighting to private clients, schools, local authorities and clubs. 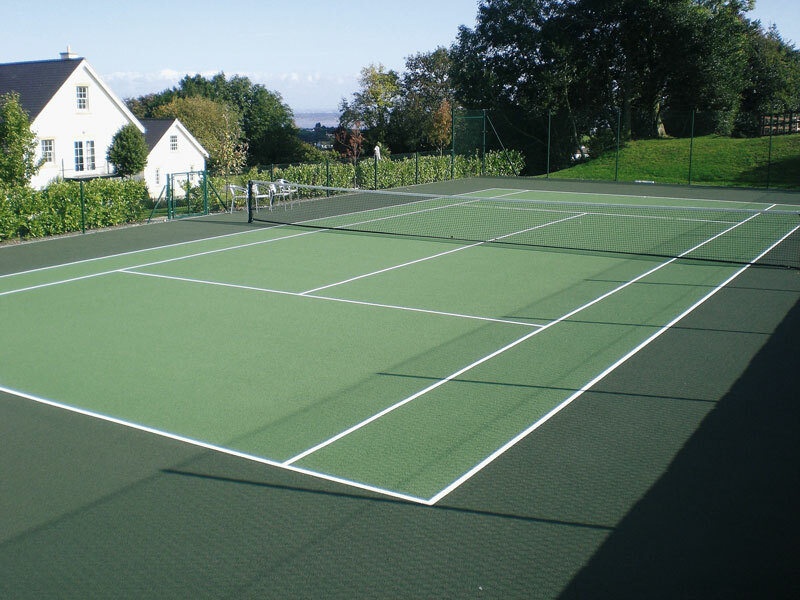 We also supply and install tennis court equipment. 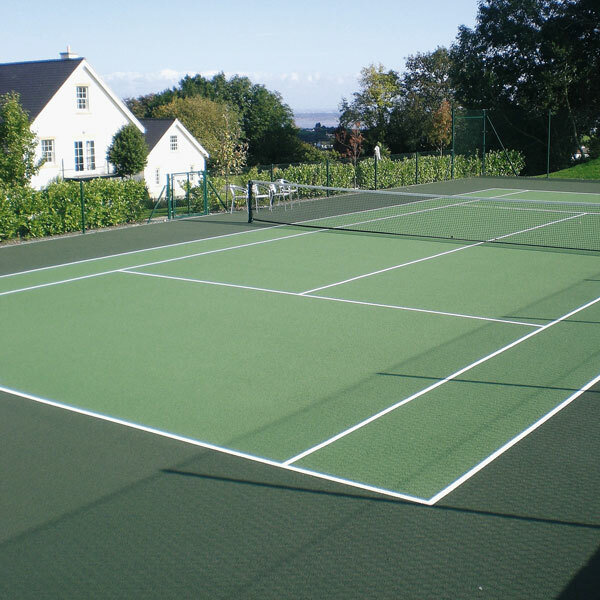 We can provide a tennis court maintenance service.